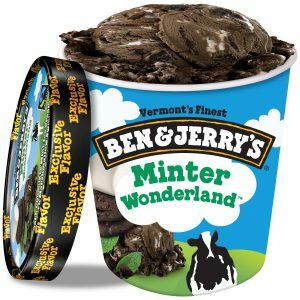 Target stores are clearancing out Ben & Jerry’s Minter Wonderland Ice Cream for only $1.31 a pint! Check Brickseek to see if your store has inventory – seems to be a nationwide deal. Minter Wonderland is a Dark Chocolate Mint Ice Cream with Marshmallow Swirls & Chocolate Cookie Swirls. ooooh, dark chocolate makes it a health food to boost your New Year’s Resolutions! Delicious. Thanks for the tip!